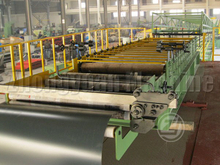 Sandwich Panel Production Line Manufacturer . 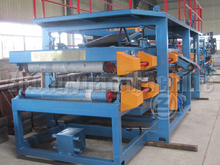 Sandwich Panel Roll Forming Machine Manufacturer . PU Sandwich Panel Forming Machine is designed to make PUR and PIR sandwich panel. This sandwich panel product line adopts PLC and touch screen controlling system. Running automatically. PU Sandwich Panel Forming Machine can make both roof and wall sandwich panel. We supply life time service for our produced machine for all customers. PU sandwich panel production line is designed to make PUR and PIR sandwich panel. This sandwich panel product line adopts PLC and touch screen controlling system. Running automatically. PU sandwich panel production line can make both roof and wall sandwich panel. 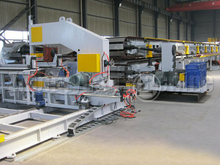 EPS Sandwich Panel Production Machine could make the polystyrene core sandwich panel. This sandwich panel production line adopts PLC and touch screen controlling system. EPS Sandwich Panel Production Machine can produce EPS panels automatically. But feeding EPS panel into laminating system manually.It could make both roof and wall sandwich panel with core of polystyrene foam material.